STUNNING home!! It has been reconstructed in many areas with the finest top quality products and is evident the moment you walk up to the beautiful double leaded glass entry doors. The architectural details are truly fabulous. There are gorgeous trey ceilings with crown molding and soft lighting in most rooms, wainscotting on many walls and bead board wood ceilings. The formals are spacious w/ custom built in wood shelving in living room. Flooring consists of tile, hardwood and marble throughout. The family room, kitchen, eat in area w/ fireplace & sun room are all open so you can host the largest of gatherings. There is a coffee station & hidden large walk in pantry off the nook area. The kitchen features quality wood cabinets, granite tops, double wall ovens & Sub Zero refrigerator & separate Sub Zero freezer. 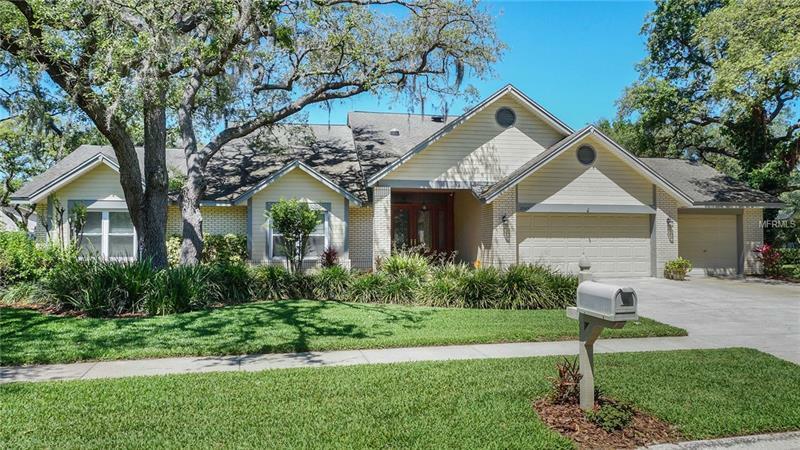 Off the family room is a delightful & inviting sunroom that overlooks the lushly landscaped, fenced backyard. The master suite is privately located on one side of the home & has large walk in closet with built in's, dual sinks, garden tub and steam shower. Off the master is your private office that overlooks the pool area. The outdoor living space is Amazing w/ a large covered area consisting of wood bead board ceiling, real brick flooring, summer kitchen and sparkling pool/spa. Located in an established quaint neighborhood with grand oaks, large lots and great schools (Lithia Springs Elem, Randall Middle and Newsome High). Make your appointment today! !